The wisdom of Borneo’s tribes is a legacy that transcends age and time. It is a wisdom that still applies to today’s world. We want to share it, transformed and geared for the 21st Century. And so our Tribal Wisdom Speaker (TWS) Programme was born. TWS brings the best ethnic speakers together from Sarawak’s successful businesses, artists and professionals to share their life experiences and how their ethnic ancestry has influenced their success. These take the form of motivation sessions sponsored by the Sarawak Convention Bureau. Part and parcel of stellar bids involves engaging with the local tribal communities. TWS is a new concept that links the bidding process with tribal Sarawak. This goes beyond the customary cultural dances and blowpipe demonstrations. TWS turns local encounters into a meaningful exchange of business ideas. TWS is truly a true tribe within tribes. If you’re an event organiser, consider planning TWS sessions into one of your dinner receptions. Conference sessions or cocktails can be made more lively and interesting with 15-minute TWS talks slotted in. The good news is that tribal speakers and session performances are fully sponsored by SCB. Sit back and relax. We will arrange for the speakers and performers to wow your delegates on stage in full tribal costume. This is a perfect opportunity for delegates to experience the unique diversity of Sarawak’s ethnic tribes, up close and personal. Give our friendly Marketing and Sales team a call at +6082-242516 for a full listing of speaker profiles, preceding clientele, and more. 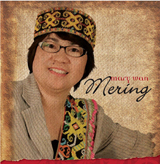 Join Mary Wan Mering as she draws on the rich memories of her childhood in the Upper Baram River in northern Sarawak. Mary is the Principal Assistant Secretary in the Ministry of Tourism and Heritage in Sarawak. But her journey started far away in Long Lama, by the Upper Baram River where her Kayan roots are firmly anchored. Her love for Sarawak and her culture stems from the lessons and wisdom of her ancestors. She shares this wisdom through remembering her childhood days with her grandmother; and through her journey towards a career in tourism, inspired by the ruggedness of her place of birth. She has come full circle as the little girl in the village to the career woman who has travelled the world; and returned with the same simple values that she has always treasured: FAMILY. One walk into the forest with his grandfather gave Cyril Dason Kerine the lesson of a lifetime. 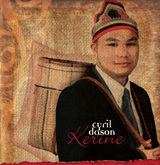 Cyril is a teacher and blogger from the Bidayuh people of Sarawak. His passion for educating and writing sees him actively involved in the Sarawak Teacher’s Union and Sarawak Bloggers, the premiere blogging community for Sarawakians. One of the most important things for him as a person is to savour the journey towards any destination in life. It is one of the most precious lessons his grandfather has ever taught him. Come let Cyril share a snippet of his grandfather’s tribal wisdom with you. Come listen to Chiew Chung Yee’s story of how his childhood kite-flying memories helped him shape the way he approaches the world. 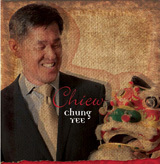 Chiew Chung Yee – architect, dreamer and prime mover – heads one of Sarawak’s most acclaimed architecture firms. He helped set up various local chapters of Habitat for Humanity, a worldwide movement that helps build homes for families in need. Driven by his faith and a heart for communities, he draws deep lessons from his childhood in Lutong, Sarawak, to affect his professional and community work. He believes in finding wisdom through simplicity, regardless of whether it is for his building designs or how he leads life. Come hear him talk about what he has to say about childhood kite-flying and life. 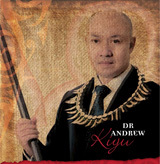 If Andrew Kiyu lived in the society of 100 years ago, he would be a tribal healer, no different from the respected doctor of medicine he is today – he would still have a rich tribal history to share with the world. Dr Andrew Kiyu has practised medicine for over 30 years. Born in the village of Semeba in Kuching, he walks in the footsteps of his forefathers before him, for he comes from a line of ‘dukuns’, traditional healers, from both sides of his family. Among the Bidayuh people, healers are believed to be spiritually chosen through revelation. From such sacred roots has he emerged the foremost consulting epidemiologists in the Sarawak Health Department. His story is one of true callings, like both his grandfathers, he believes in healing communities. Come listen to it in his own words.